China has unveiled the world's most powerful amphibious assault vehicle that can travel at high speeds both on land and water, according to the Chinese state media. 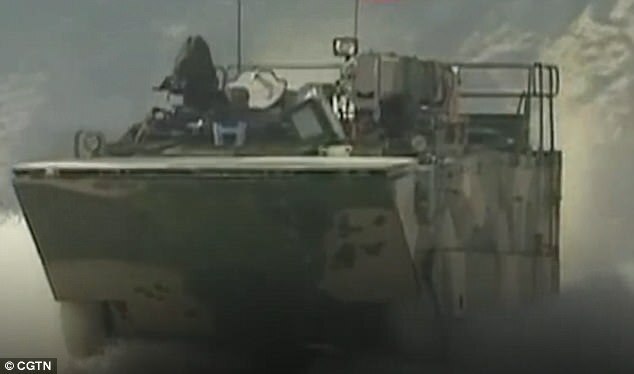 The formidable armoured vehicle, called VN18, boasts a maximum speed of 65 kmh (40 mph) on the ground and 30 kmh (19mph) on water and is the fastest of its kind in the world, reported China Central Television Station. The 26.5-tonne beast is said to be equipped with a cannon, a machine gun and an anti-tank missile. It can carry three drivers and 11 soldiers. China Central Television Station, the country's state broadcaster, revealed footage of the military vehicle in a programme on November 18. The 1,600-horsepower assault vehicle was billed as China's 'magical weapon' by the programme. It's said to be a modified variant of ZTD05 Light Tank, which was developed between 2000 and 2005. Built with aluminium alloys, VN18 is armoured with a 30mm cannon, a 7.62mm machine gun, an anti-tank missile and smoke grenades, said the report. The military vehicle is produced by Norinco Group, a state-owned weapon manufacturer in China. During an interview with China Central Television Station, Zhang Wenhui, who is the deputy General Manager of Norinco Group, said VN18 is the fastest amphibious assault vehicle in the world. Mr Zhang said: 'Only China and the United State have amphibious assault vehicles. 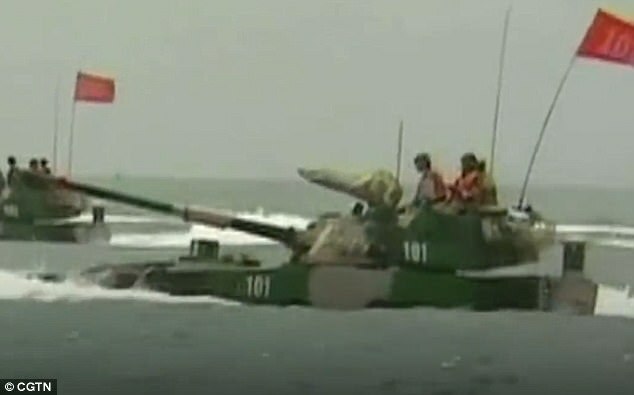 Mr Zhang claimed that amphibious assault vehicles in the United State are not as fast as VN18. Mr Tan added that the vehicle could work in adverse weather conditions and resist winds up to six metres per second (11 knots). China Central Television Station commented that VN18 is another example of the country's innovative power. Wow. This article is dripping with arrogance, self congratulations, self assuredness and a huge dose of self importance. It reeks of hubris on steroids. That's a good thing. That means that when we cross swords they will underestimate us. That means we'll beat them. A hardworking, quiet, humble China is one thing. A loud, bragging, arrogant China is something else entirely. The latter is easy, the former hard. From what I can tell we're gonna be getting the latter which is GREAT news.